Plus for Trello lets you assign and transfer card Spent, Estimate and Remaining time/points per user or globally. Users can easily enter time manually or with timers. 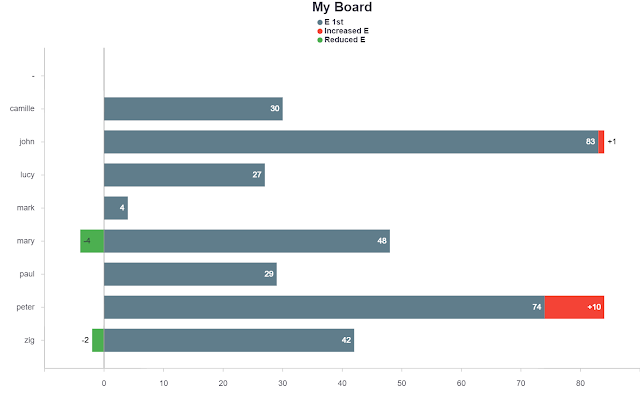 Managers can view, compare and track progress with charts, burn-downs and reports. Why keep track of Spent and Estimate history per user? You have a Trello board with cards organized by stages (To do, Doing, Done). You know what is pending, but can't measure effort to get them "Done". You could add a custom field or numbers in the title to keep track of pending effort or "points". But you still wont know who's work it is when the card involves many people or checklist items, if that effort was later increased, how it got there historically, by who or how to make an end-date projection. Plus solves this by keeping track of all Spent & Estimate changes per card and per user, and has the concept of a "global" user to assign estimates when you dont yet know who will do the work. A project manager creates and assigns cards for pending work. If estimates have not yet been agreed, the team can use Plus card and checklist "pre-estimates" to figure out each estimate (See pre-estimates below). Once estimates per card are known, the manager (or each user) can enter "E" on each card. It can be assigned directly to "me", a specific member, or to the special "global" user. This special "global" user can be used when you dont yet know who will do the work, or as a bucket where specific users later transfer "E" to themselves. Once all estimates have been entered, users start doing work and entering Spent ("S") on each card. It can be entered very easily by using a Plus "timer", or enter the time manually in the "S/E bar". Use our webapp or mobile app to enter S/E from mobile. Tip: Plus "Preferences" (in the help pane) has many ways to customize your S/E usage. For example, there is an option to warn users if they later try to increase the estimate. As "S" is entered, each user will be reducing their remaining ("R") work. 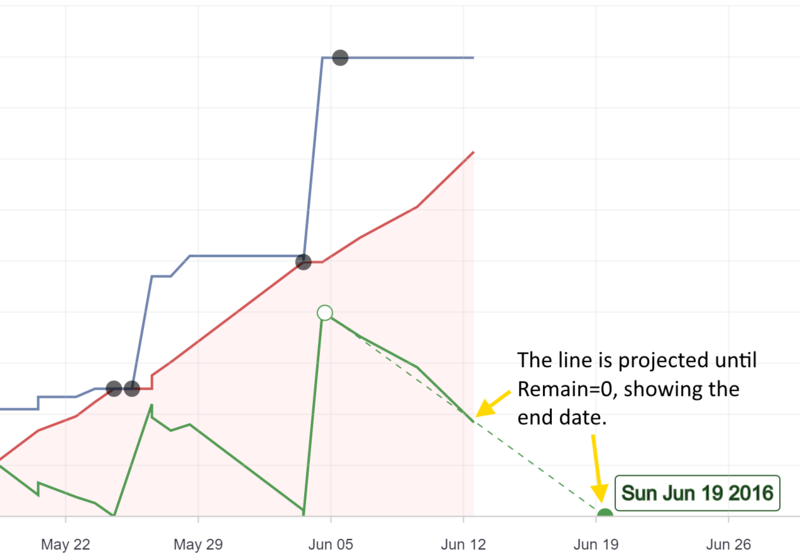 From trello.com, open the "Plus S/E" section, there is a "Recent and "Remain" section below the charts. Click on "Remain" to see a list of all cards with non-zero Remain for you. You can view that list even without opening Trello: Click the Chrome Plus menu (top-right in Chrome), then click on "Remain". Type your Trello username in "User" and Query. All your customizations are saved for next time you open that report. If you use that report "Dock out" button, a new Chrome tab shows the same report which can be bookmarked in Chrome as another way to get there. Users and managers can view progress anytime from Plus reports, charts and burn-downs (from the Chrome Plus menu or standalone tabs). Measure and compare by card counts, Spent, Estimate and Remaining. Burn-down timelines incorporate Spent, Estimate, Remaining, Annotations and Due dates over time. 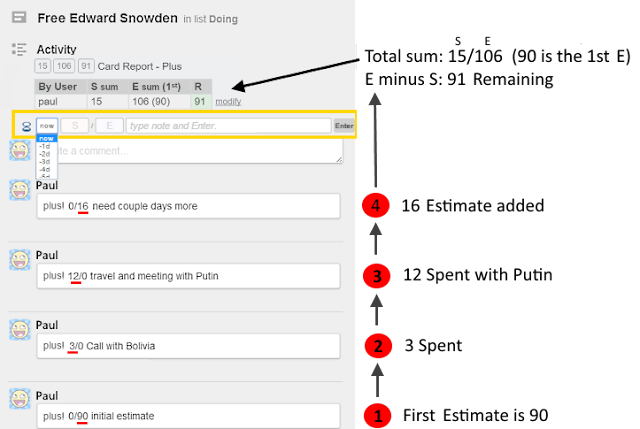 The burn-down supports drawing a projection line to calculate end dates. Managers can easily check for spent per user to make sure Spent is being entered on-time. 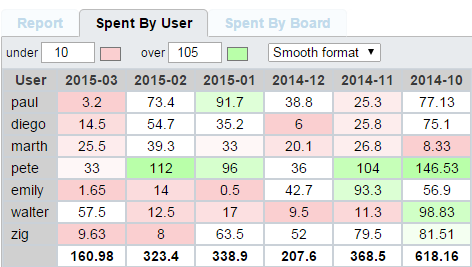 The easiest way is to use the Chrome Plus menu, click "Spent" then the "Spent by user" tab. 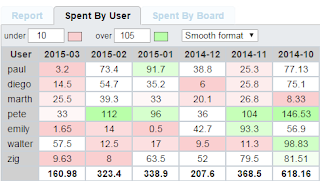 That pivot report can color cells under or over thresholds to easily detect under or over-spent. Most will pivot by week but you can also pivot by day for more granularity. As the project advances, estimates might change. Plus supports increasing or decreasing estimates. Later there are reports and charts that can compare estimate change in many ways. In Plus, a card is considered "done" where its Remaining reaches zero. If a card is finishes and there is still a remain, the easiest is to use "modify" from the card front and blank the "R" value. This will cause the estimate to decrease accordingly to match spent. Reports and charts support many ways to group, stack or filter cards. Use labels and Plus hashtags in your cards to categorize them and later use them from reports, charts and burn-downs. Plus inserts Spend and Estimate elements inside the Trello card front in the Chrome extension. Spent and Estimate can also be entered from our web and mobile app. Use the "S/E bar" to enter new estimates or spend per user or use the "modify" link on the user report above it. Use card timers to pre-fill Spent in the bar. Use the "global" user (configurable from the Plus help pane) if you dont need to track per user or to assign and later transfer global card estimates to specific users. Plus can also track time spent in lists automatically by using Butler. Here you add rows from top to bottom and keep a running total for all time spent on the card. Plus does the same except the "rows" are entered inside Trello cards as special card comments (or as Google spreadsheet rows, when using stealth sync mode) and tracks multiple users in many dimensions. You would need more columns on a spreadsheet to track and group by those additional properties. In the sample above the current Spent is 13, the sum of spend history. This gives much more information that just the previous "spent history" table because it shows a first estimate of 11 later increased by 2 hours with a timeline and by user. Plus reports and charts shows these estimate changes per user, board, label, hashtag and pretty much any way you can by grouping and filtering with full traceability. Plus automatically fills the "Estimate" as you type "Spent" or stop timers, calculating any Estimate increases needed (which you can overwrite before Entering or prevent increasing, see Preferences). Note in this example rows go from oldest to newest but Trello displays card comments from newest to oldest. To view S/E rows in any order click "report" inside the card front and sort it in that new report tab. Use the Plus "Card S/E bar" or directly modify the running totals using "Modify". It adds a row for you with the needed differences, positive or negative. Those using sync by "card comments" can use a special syntax to enter, modify or transfer S/E as a card comment from any device, including the official Trello mobile app. Note that you cannot easily modify an already-entered individual row in Plus. Instead, you enter a new row with the needed differences in S/E. This system makes report S/E history fully traceable to who and when each S/E modification happened. It is possible to force a "reset sync" in all sync modes to re-read all Trello data from card comments (or a Google spreadsheet depending on your sync mode.) It is also possible to force a "reset card sync" for only an individual card when using sync by "card comments". These methods allow you to modify the data and history if you must, but will also generate traceability because the command will appear in reports together with the old rows (as 0/0 rows with the previous S/E in the row note). See the Plus help pane utilities section for more. When using either our card "S/E bar", the "modify" or "transfer" links, or card timers, Plus creates the S/E "rows" inside Chrome. Depending on the sync mode you choose, Plus stores these rows either inside Trello itself as card comments, or in a private Google spreadsheet that only you (or your team) has access through Google permissions. This method is useful if you share boards with your client and dont wish to share with them your S/E data. With card timers keep an always-on-top notification showing elapsed time. Minimize it and come back to the card with a single click, then let Plus enter the S/E row for you. 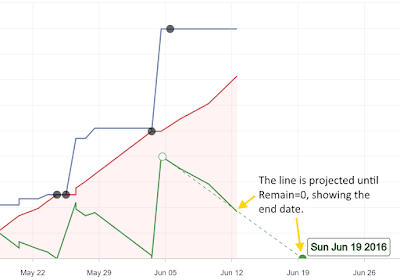 This example uses the ""Scrum for Trello" S/E format to add estimates. See your Preferences. Once your board estimates settle down, assign them to global or specific users. Soon we will add a tool to automate this process as a single step. Use our built-in tour to show you step-by-step how to use these and more of our features. Many more reports, chart and burndown possibilities! Reports and Charts help & examples.